Let me start by saying that in most equine practices February is a slow month. This, however, was absolutely not the case this at McKee-Pownall in Newmarket. 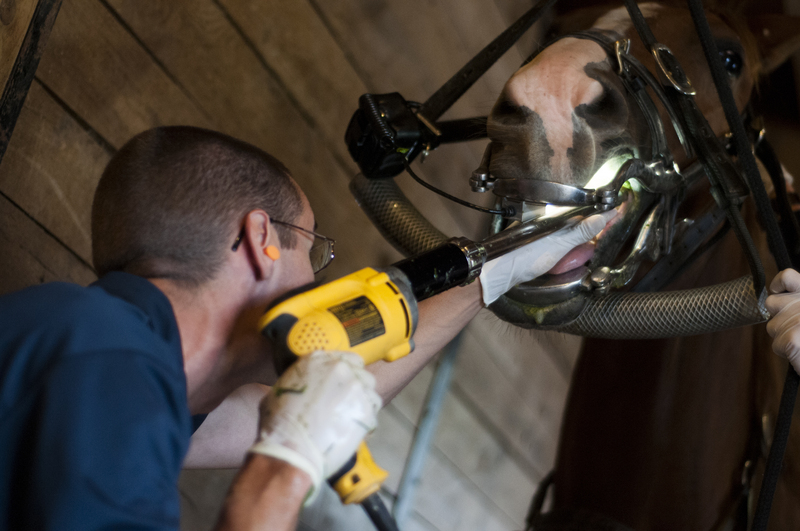 First of all, it was dentistry month, which means that the practice has a large list of horses who need their teeth done for our dental promotion. It’s a long list which at the beginning of the month seems to be never ending, but come the end of the month, it is a big relief to have that number of dentistries taken care of before we move into Spring. All of us, as a result, have much stronger looking shoulders than we did at the beginning of the month, and there are many horses in the Newmarket practice area whose mouths are much more comfortable. February was also busy with Dr. Surasky and Dr. Turner both away. Maggie had a baby boy, and Kathryn had a successful trip to Ocala while showing her mare CeCe. With only three of us here, and a steady flow of what we all consider routine work (dentistry and vaccines, etc. ), all of the extras added up to make things faster paced – which is great, especially in a winter month. For me, most of the add-ons were wounds. Many, many wound emergencies. Large and small wounds, over joints, in bursas, or with chips of bone inside. Fortunately, all of these patients are holding their own, and healing with the diligence of their caretakers (touching wood while I type this). Bandage material and Flamazine sales are at a high because of this. This makes a great opportunity for me to discuss the wonder and “magic” of the less commonly known (and my personal all-time favourite) ointment – Flamazine. Where many of the ointments and salves we use routinely in horse care can be contraindicated under certain wound circumstances, there are few things you can keep in your tack trunk that are safe to put anywhere on a horse – Flamazine is your super safe, all round choice; from in the eye, to any mucous membrane surface, and on any skin surface, wound or granulation bed – you can’t go wrong. Flamazine (otherwise known as Silver Sulfadiazine or SSD), is commonly used in human burn patients, and has good antibacterial properties. In horses, it is helpful in abrasions, cuts, and healing granulation beds. Unlike many petroleum based products, it tends to let the skin breathe while having good antimicrobial activity on staph, strep and pseudomonas (common equine bugs). After having to use it on a number of cases this month, I am reminded why I love Flamazine. With the hours spent in barns with all of the dentals, and running around for emergencies, I was grateful for all of the warm weather we got. I have to say, I didn’t miss the snow at all, and am glad for the spring to be settling in. This entry was posted in Day in the Life with Dr. Dubé. Bookmark the permalink.